***All leather items are made to order. Please allow 3-5 business days before shipping. 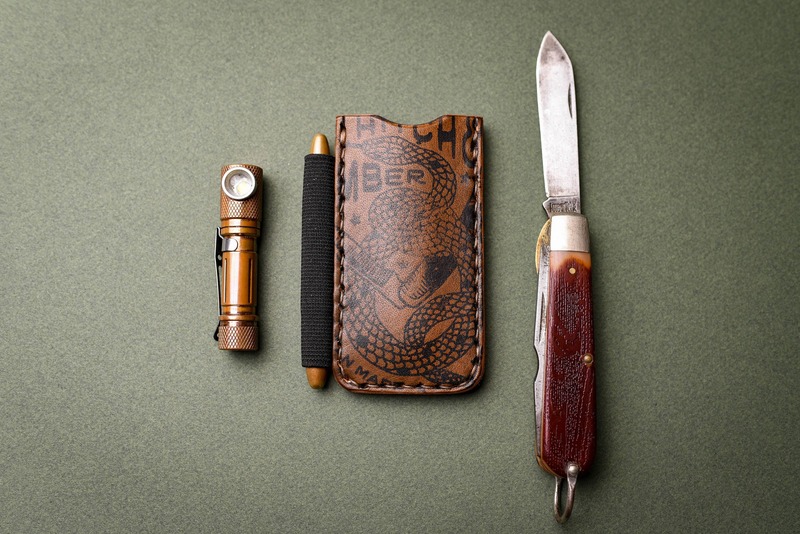 The Snake Slip is a leather tool slip made to fit a a variety of knives & tools. 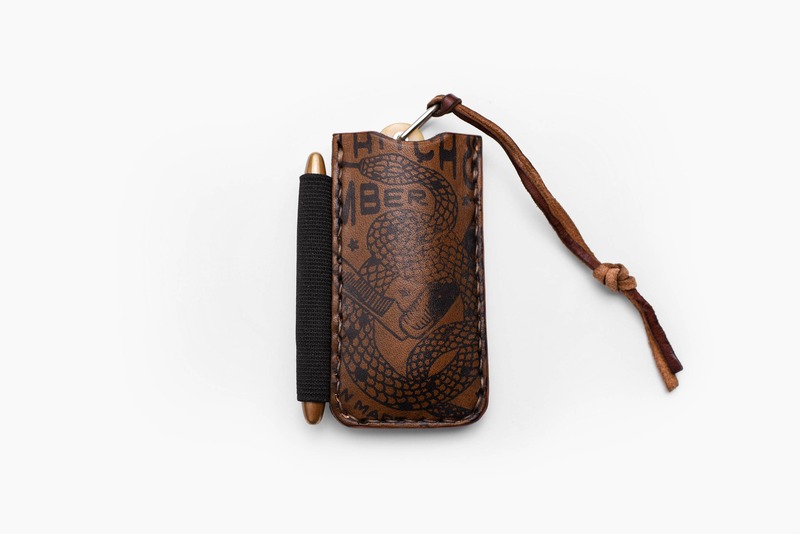 Keep your everyday carry protected in this American made leather slip with optional pen loop. 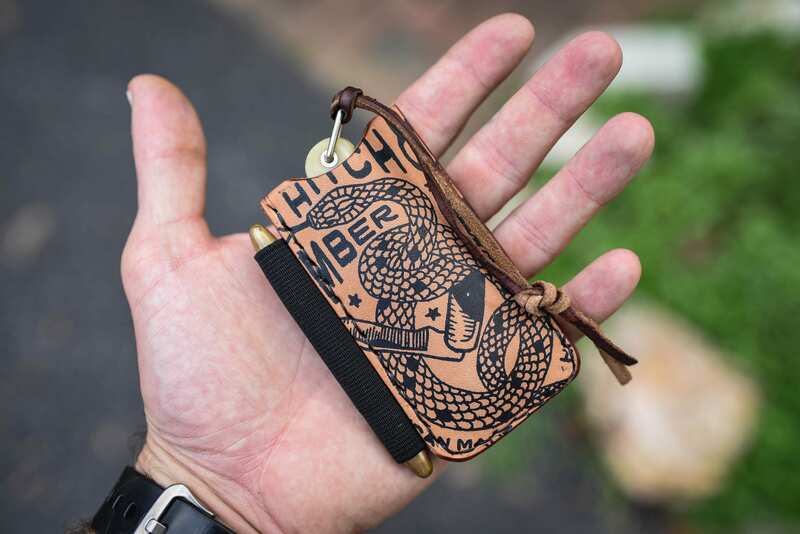 The Snake Slip is made to order. 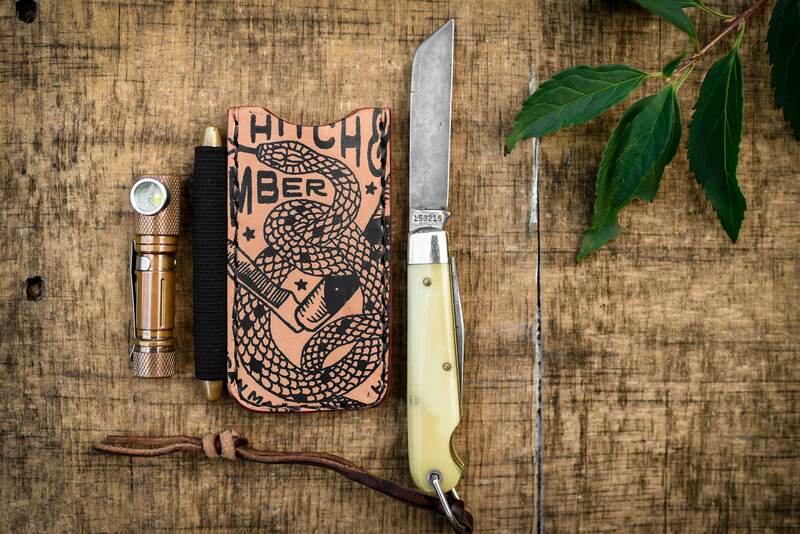 Cut, stitched, & burnished with great care by human hands. 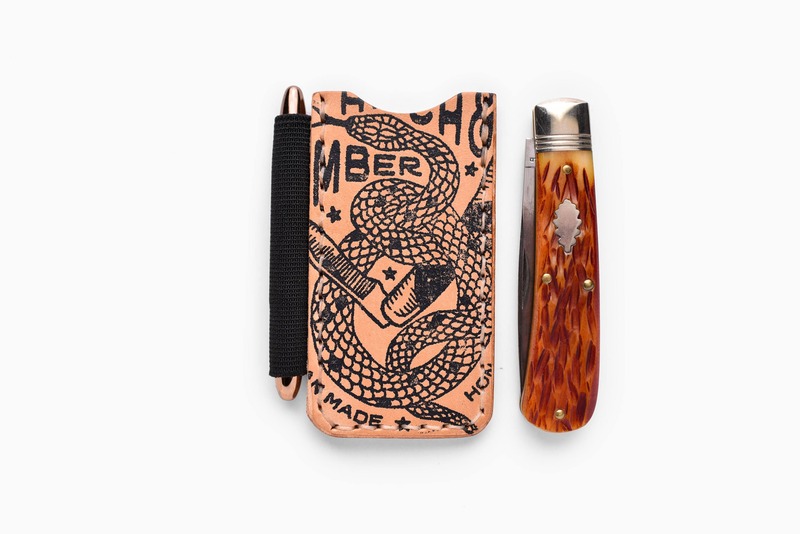 Crafted with 8oz American tanned leather. This exquisite & durable leather will not only endure but get better with age. 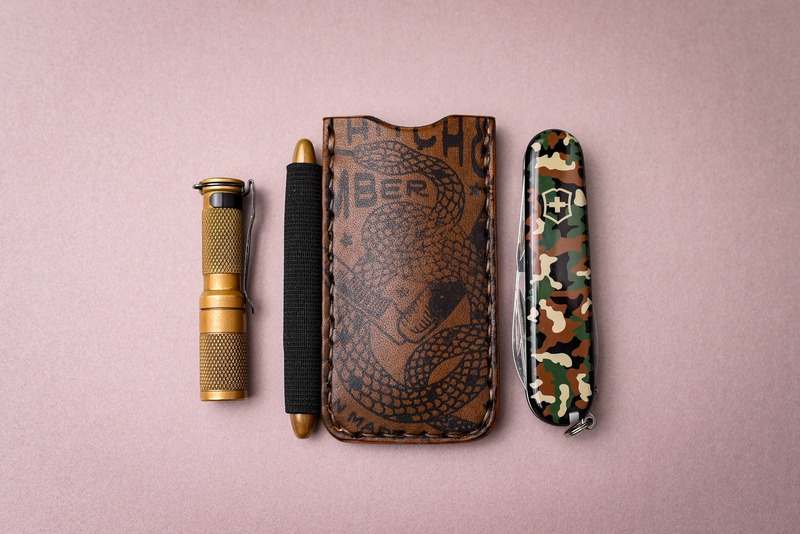 Optional USA military spec elastic to hold your favorite pocket pen. Please message me if you have a question about your knife fitting. I would be glad to answer. Absolutely perfect! Asked for a small custom add on and it was perfectly executed. The quality is great, just what I expected! 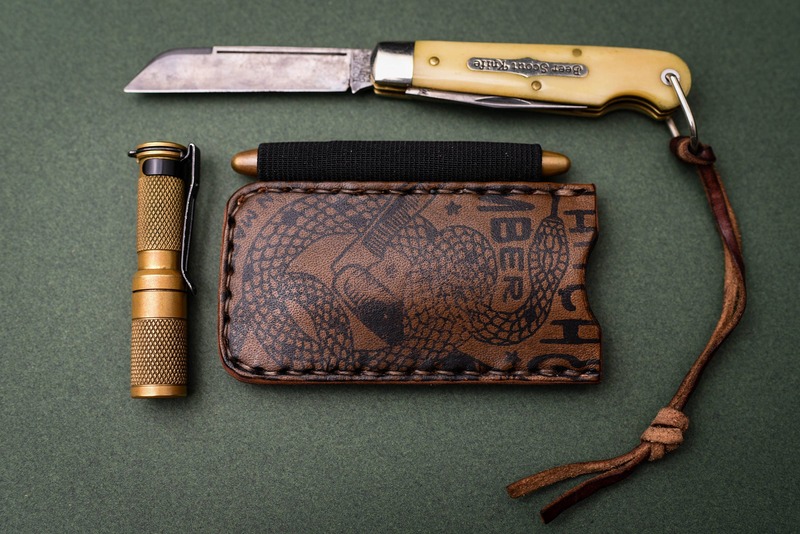 Fit all my EDC items right in my suit pants pocket. I’ll be a repeat customer for sure! I'm a huge fan and return customer. The workmanship and functionality are second to none. © 2019 Hitch & Timber.